Na Nach Nachma Nachman Meuman: Why does Saba say: "I am the tenth test, the test of the sacrifice of Isaac"? Why does Saba say: "I am the tenth test, the test of the sacrifice of Isaac"? 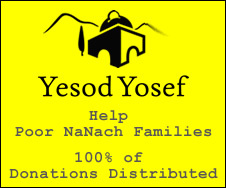 It's Rosh Hashana the time of year when everyone reads the sacrifice of Isaac (2ond day). We also read this every morning! Saba also compares the 10th test to the tenth song: Na Nach which is connected the final redemption. Saba says HE is the song. Saba says HE is Rabbi Nachman but this is often denied or excused. The most common explanation of how he is Isaac: He was absolutely ready to sacrifice his life in the name of G-d.
One problem with that...Rabbi Nachman says that every last Jew is willing to do that as well! Abraham was ready to go against ALL HIS ESTABLISHED, HARD EARNED AND SUCCESSFULLY MADE PUBIC, PRINCIPLES and laws of the land. Abraham was now going to "join the terrorist movement" he outlawed and go back to the worst form of idolatry. Is this the renewal needed for Rosh Hashana? Why do 50 000 Zionists go back on Rosh Hashana, to the land where 2500000 Jews were assassinated, instead of being with their families in Israel or even with the "head" in Jerusalem, the capital of the world. This is comparable to Abraham sacrificing his son.... but folks, THERE IS A RAM with a HORN and you can say Please Rest In Peace Nachman and cry until he joins us on Mt Zion, instead of sacrificing so much family treasure on the yearly pilgrimage. I can also prove in 3 ways that Rabbi Israel really is Rabbi Nachman. I can also prove that the bones in Uman are meant to be there, ONLY for AM ISRAEL to be able to keep it's spoken oath to G-d. Only when this oath is kept will Amalek be destroyed and this also, I can prove. Another thing I can prove is that saying Na Nach does all this. Na Nach, the tenth song.